Europe is the leading destination for all. From students to tourists and for employees to culture enthusiasts, Europe has remain as a symbol of culture and ebullient lifestyle. But with the fast paced life staying in touch with one’s loved ones has always been a major problem for the all the Europeans. In addition to the stealthily moving life, the cost of living has soared to new skyscraping heights. 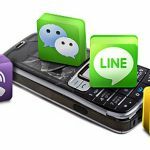 To keep a check on both the issues various online messaging apps were introduced during early 2000 in Europe. The most popular of these apps are: Whatsapp, Skype, Facebook Messenger and iOS iMessage. Whatsapp: It was introduced in the market for the first time in 2009, since it was the first cross platform messaging app it acquired a fair share of the European market. It has its highest user base in Spain, where almost everyone seems to be using this since 2009. This is a simple app which works on your data connection and that almost free of cost. As soon as the app is installed it gets connected to your phone’s sim and by default transfer your phone list to its data base. Skype: A free voice over service and instant messaging app, released for the first time in 2003. This can be used with both androids as well as computers. Using Skype you can easily video chat using a webcam or voice chat using a microphone or simple text chat using internet, with anyone. The software was developed by Microsoft and became an instant hit as soon as it was released in the market. The specialty about Skype is that you can even call on regular phones with it that too without any kind of charges. Facebook Messenger: Anybody using Facebook would be pretty familiar with the Facebook messaging app. It does not require any kind of contact no or sim it just need a Facebook account and internet. It is available in almost all the devices that use internet and can be easily downloaded from the facebook app center. In a facebook messenger you have the same list of friends that you have on your official facebook account, you get messages that people send you on facebook without having to login and log out of the main account. You can share videos, images, audios and a lot more through this. iOS iMessage: Last but not the least iOS iMessage is pretty popular with the Europeans. It is the messaging app for Apple devices. Most of the Europe is connected to each other through Apple products. It works only in iOS and MacOS devices. One does not need to extricate this messaging app from app market or apple market because it comes with the machine by default, which means that it is preloaded in apple devices. Here one can share images, videos, audios and all voice texts, making the app fun and likeable. These are the four must have text message apps that will you to keep in touch with your loved ones in Europe.